The more you hunt, the more experiences you have. The more experiences you have, the better hunter you become. How do you get more experience if you always do what you’ve always done? Get out and try something different. I grew up hunting with my father and his friends. We lived in the rugged Rocky Mountains of Colorado. The primary way to get close to a bull elk was to take a hike. We did a lot of spot and stalk hunting. We would climb mountains and glass until we found what we were looking for. Then we would determine wind direction and make our move to get in position for a safe shot. As I grew older and began to hunt on my own, I learned that I would never know everything about hunting but wanted to learn more. I decided I had to hunt other species in other habitats to expand my knowledge. I traveled to other states and other countries. I’ve been exposed to various means of hunting. I have gone through a lot of trials and errors in hunting, but I wouldn’t trade those experiences for anything. In some areas, animals are very skittish. They catch your scent and are gone for days, or they see unusual movement and won’t come near. Another issue I have seen is small property size and flat terrain. Properties can be too small and flat to safely shoot from a ground position. All of these are good examples of turfs that will support tree stand hunting. I drove for eleven hours to end up at the top of my very first tree stand. Before you hunt from a tree stand, you will need to purchase some gear. Start by asking what type of stand it will be before you end up at the top of it. Some hunters advise you don’t need safety equipment, but you absolutely do need safety equipment. I was 20 feet up in the air and had no harness, no hook for my pack, no hook for my gun, no place to set anything, and to top it off, my feet didn’t even reach the platform. There was no way to safely adjust my position to shoot a creature and certainly not without dropping gear portions of my gear. I called the guide and asked him to retrieve me. My first try at a tree-stand hunt? Unsuccessful, but I became even more educated which made me a better hunter. I now have a harness, safety straps and hooks and have even harvested other species from a perch in the tree-tops. 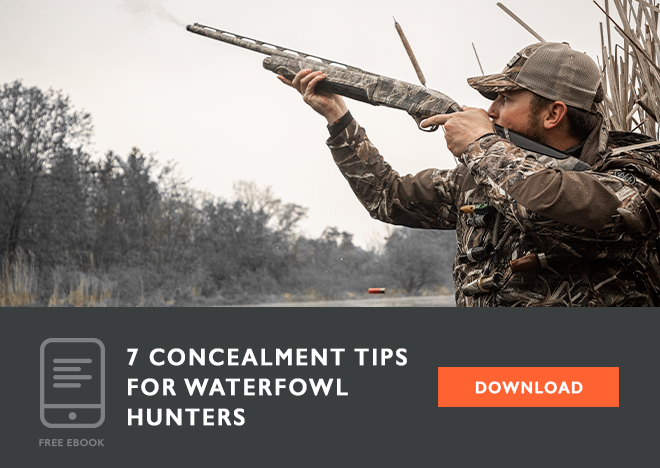 A ground blind helps conceal movement. It is helpful for archery hunting because it conceals the movement as you to full draw. 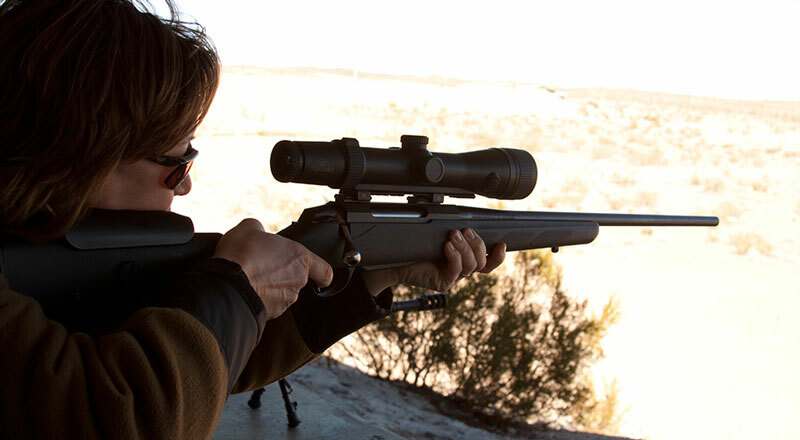 When you hunt from a blind, you need to practice swinging your gun, or bow. This is important in ensuring you have adequate room and don’t hit the sides of the blind. Have a comfortable seating position. Always be ready. There have been times that I took a nap, with my eyes open, only to be caught off guard when an animal came in to view. It is a mistake to move too quickly and even though you’re concealed the animals may catch the turn of your head or reflection of a shiny gun barrel. Put your blind in the correct location, practice and you will become a successful hunter in a ground blind. I traveled to Oklahoma and sat in my first elevated box blind. While I was up in there, I learned a few things. I learned that I had to be still in the squeaky swivel chair. I needed to practice swinging my gun from one side window to the other without making the plywood echo. I was hunting over a feeder for the very first time and prior to this hunt I had always thought it “wasn’t fair” or that it is “not a challenge”. Another thing I learned on that hunt was, I was wrong. After three days of hunting I took nearly a million pictures of whitetail, turkeys, armadillos, and other wild life. I saw 22 hogs and I still came home empty handed. Would I do it again? Absolutely, and I did. I used what I learned on the first hunting trip up in a box blind to become a better hunter. The next time I hunted from a box blind, a hog was added to the story of my success. If you haven’t’ tried these methods for hunting, you absolutely should. If you use tree-stands or blinds all the time, you should venture out from them one day. Try hunting the way I learned as a child. Take a little walk and try a spot and stalk. Get on the same level with your prey. It is rewarding to patiently, work the wind and silently get near an animal on his or her own terrain. Experiment, educate yourself, be safe and become an even better hunter.